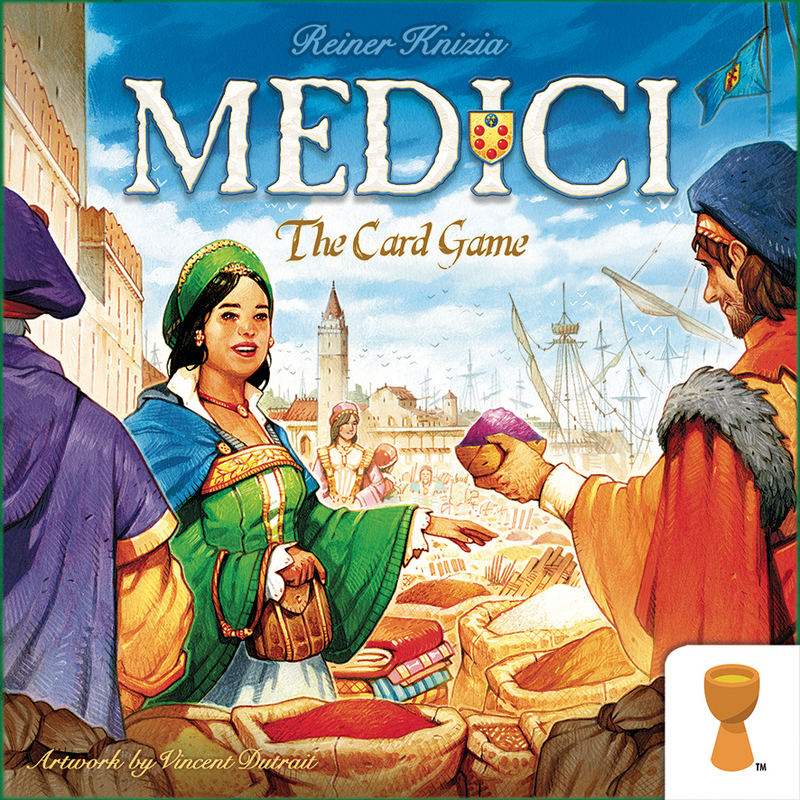 Medici: The Card Game is a new design by Reiner Knizia that shares the setting and feel of the classic Medici board game, without using that game’s auction mechanisms. In 15th century Florence, players try to acquire the most valuable goods for their merchant ships by drawing 1-3 cards from a common deck each turn. After drawing, the active player must take the final card they drew and may select one or both of the previous two cards drawn (if available). They then load these commodity cards on their boat. Cards that are not taken remain available to future players. Once a player’s boat is full (seven cards with two players, five cards with 3-6 players), they are out of the round and the day is scored. Players score points for the value of their ships’ holds, but also for the number of commodities of each type that they have stored in their warehouse. The highest earning merchant over three days wins the game. Some cards do not take up space on ships, while others contribute to the value of a hold, but cannot be stored in warehouses. 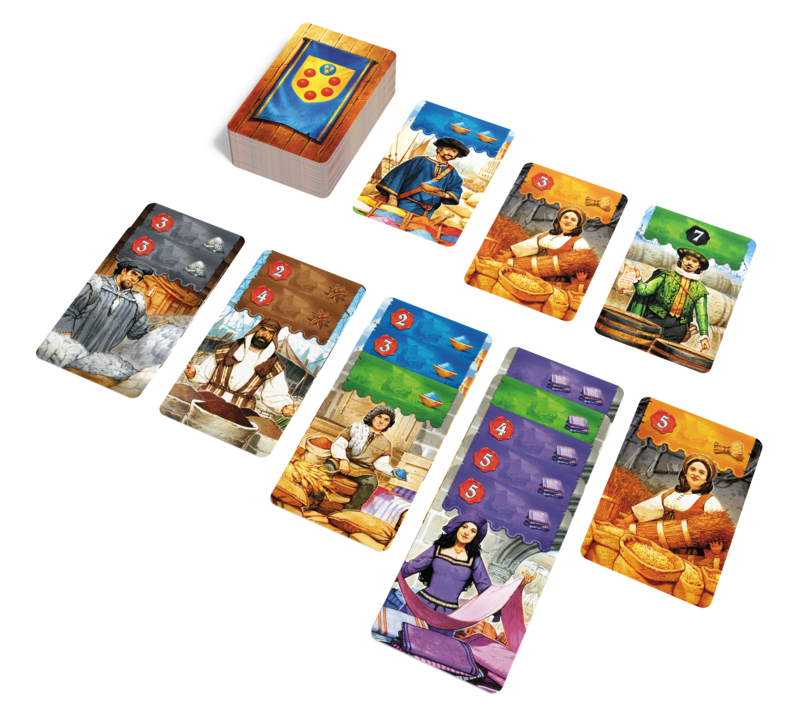 What are people saying about Medici: The Card Game?